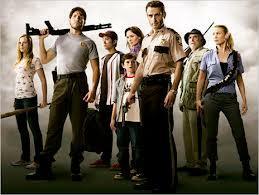 Some of the most popular clicks on Starloggers have been for the reviews of the hit TV show The Walking Dead. Many of us here love the show and think it’s one of the best if not the best TV show on air right now. Although it has primarily a horror theme, it is borderline sci-fi with the revelation at the end of The Walking Dead’s second season that the cause of the zombie (or rather walkers) outbreak was because of a virus that is infecting every living person on the planet. After some discussion, it was decided to launch a new blog called Deadloggers, which will be dedicated to The Walking Dead TV show. 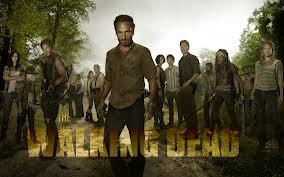 Each post will take the same detailed look at each episode from The Walking Dead as seen here on Starloggers. Evan Rothfeld, who wrote all the previous reviews/commentaries of each episode, will continue to do the same over at Deadloggers. Each review will have a detailed synopsis and commentary of each episode aired to date. We’re starting off now with all-new reviews of the first season of The Walking Dead, readers will see how Rick Grimes and company (including the fleash-eating walkers) were first introduced. Afterwards, the plan is to transfer over the second and third season reviews that appeared on Starloggers. The reviews here will be condensed and abridged, so in order to read the complete posts readers will have to visit Deadloggers. Then reviews of the remainder of season three will be posted on Deadloggers and so on. And who knows? Maybe in the future we may go beyond the show. We hope anyone who enjoyed reading the reviews will visit the new blog and check it out. If anyone has any comments make sure to drop us a line.